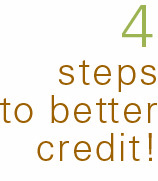 We will help you make better decisions concerning how you handle your credit. Our staff has decades of experience working with credit challenged customers. You can earn better credit. At First Peachtree Finance, when you succeed, we all succeed! Know your budget. Be practical. Do your research. Read the paperwork. At First Peachtree Finance, we will guide you to prevent collection activity on your account. Save time, gas and money by making your payments online 24/7! Checks and money orders also accepted. After your final payment has cleared, you can pick up your title right away from our office. *First Peachtree Finance makes no claims that it will change or alter your credit history. First Peachtree Finance will accurately report to a credit bureau how your payments have been made. It is the responsibility of the customer to make payments on time, as agreed, in order for credit reporting to help your credit score.